Can insects affect what you eat? They certainly can! Ticks are causing severe allergy to red meat in people who are bitten. The relationship between ticks and allergy was only discovered in 2007. Parasitic ticks causes allergy to red meat. 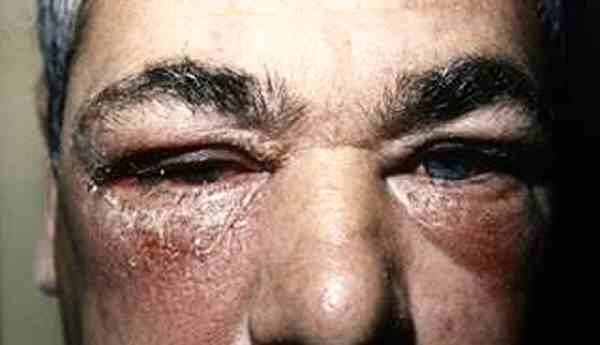 The malady is called tick-induced mammalian meat allergy (TIMMA). Symptoms will not occur immediately on consuming red meat. It can take up to 10 hours for complications to show. It is triggered by proteins in tick saliva. Aversion to red meat is not the only symptom. Sufferers can become allergic to dairy products. Red meat allergy caused by parasitic tick anaphylactic shock. People are mainly affected in the United States and Australia. It seems that settled housing makes a good home for ticks. However, the parasitic ticks host is semi-wild animals. Peanut allergy is well known. Though, in parts of Sydney allergy to red meat is as prevalent as the "common" malady. Anaphylactic shock from either can prove fatal. If diagnosed with TIMMA, patients are advised to totally abstain from consumption of red meat.